Kenya Law has radically altered the landscape of the legal profession by making legal information, which was hitherto very difficult if not impossible to source, accessible at the click of a button. 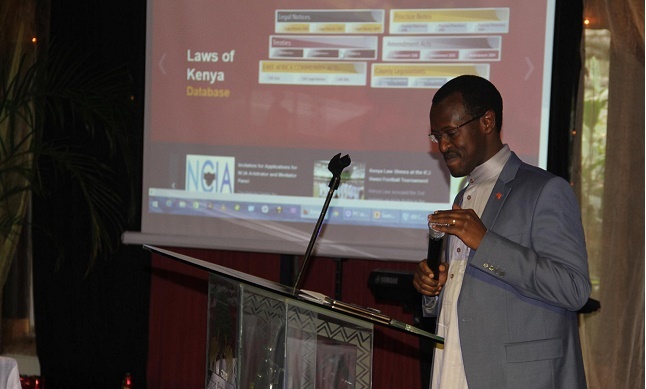 Speaking at the sixthKenya Law annual staff conference,held at the Safari Park hotel on 26th August 2016; Kenya Law CEO/Editor Mr. Long’et Terer outlined the milestones achieved by the institution in only fourteen years. “In a span of 14 years we have transformed, from a small unit of 15 employees to a semi-autonomous state corporation, blazing the trail and setting standards for legal information institutes not just in Africa but in the world.” He said. Kenya Law CEO/Editor Mr. Longet Terer during the 6th Kenya Law Annual staff on 26th August 2016. Former Chief Justice and chair of the Council For Law Reporting Dr. Willy Mutunga, who was the chief guest, underscored the instrumental role of Kenya Law in the justice and legal sector as a channel through which the jurisprudence developed by the Judiciary is sifted and disseminated. 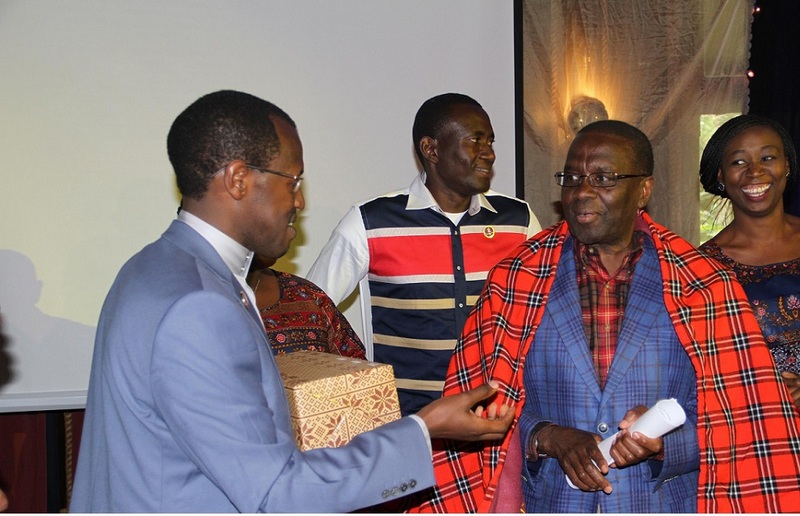 The event also served to bid farewell to Dr. Mutunga for his distinguished service as the Chair of the National Council For Law Reporting for the last five years. He expressed confidence in the institution’s leadership and noted that very few institutions have such a blend of experience, diversity, knowledge and goodwill. “I want you to know that I will always be your ambassador and shall carry the Kenya Law flag wherever I go. It has been an honor serving as your Chairman,” he said. Other dignitaries present were Council members: Ms. Christine Agimba, Deputy Solicitor General, State Law Office; Mr. Joash Dache – Chief Executive Officer, Kenya Law Reform Commission and the former CEO, Mr. Michael Murungi. Also present was a motivational speaker Dr. Stanley Mukolwe who gave advice on how to achieve a work life balance. 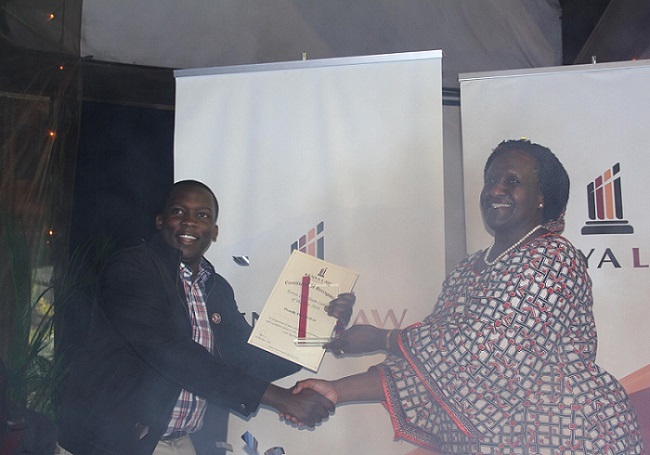 Organized by the HR and Admin Department, the conference brought together all the Kenya Law employees who eagerly gathered to evaluate and celebrate the organizational performance of the previous year and to crown the best performing employees, through the Kenya Law Reward and Recognition Scheme. The Kenya Law choir lit up the conference with their mix of traditional and contemporary music. The different heads of departments presented their reports highlighting the achievements of the previous year. 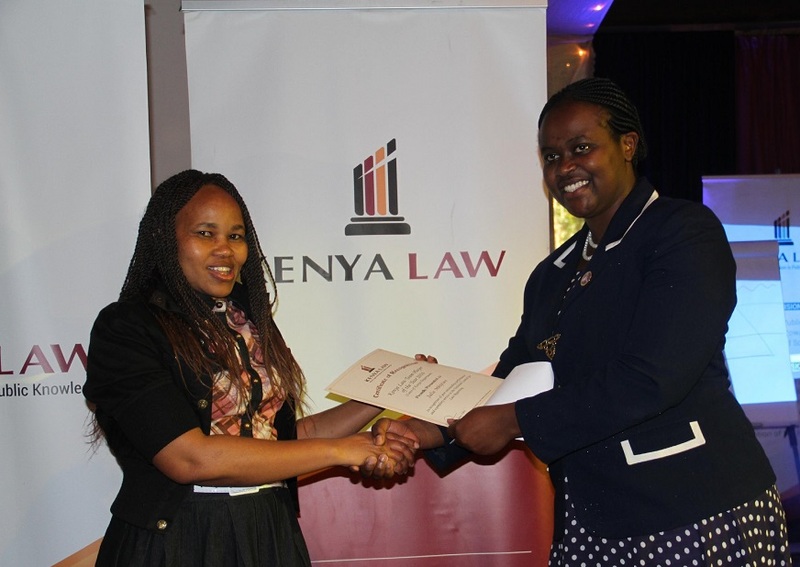 Innovator of the Year - Julie Mbijiwe, Laws of Kenya Department. Team Player of the Year , Finance Department- Josephat Ratemo. Winnie Mbori of the H.R & Admin department receives the Employee of the year -2016 award from Ms. Christine Agimba. 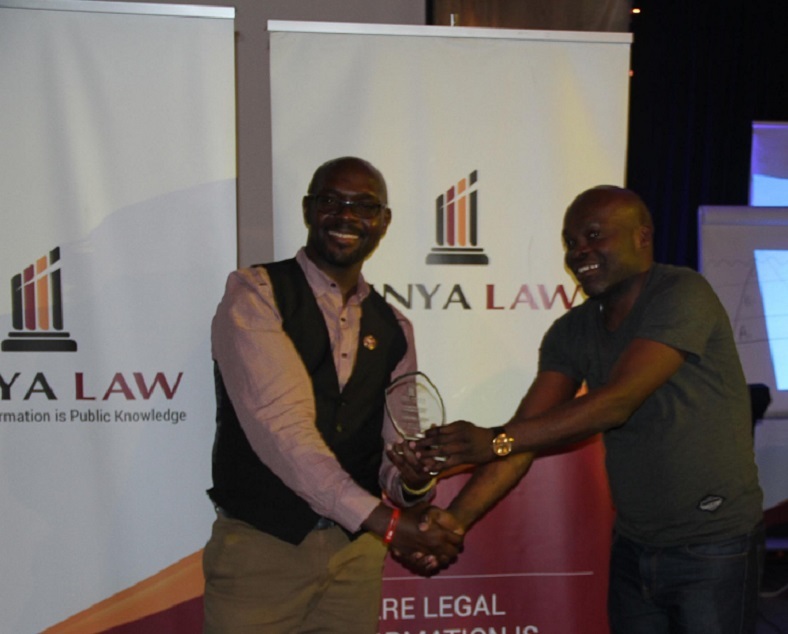 Former Kenya Law CEO/Editor Mr. Michael Murungi presents the 2016 -Team player of the Year, Law Reporting Department to Musa Okumu. Kenya Law CEO/Editor Mr. Long’et Terer presents the 2016 -Team player of the Year, SMCC department to Mr. Joseph Asige. 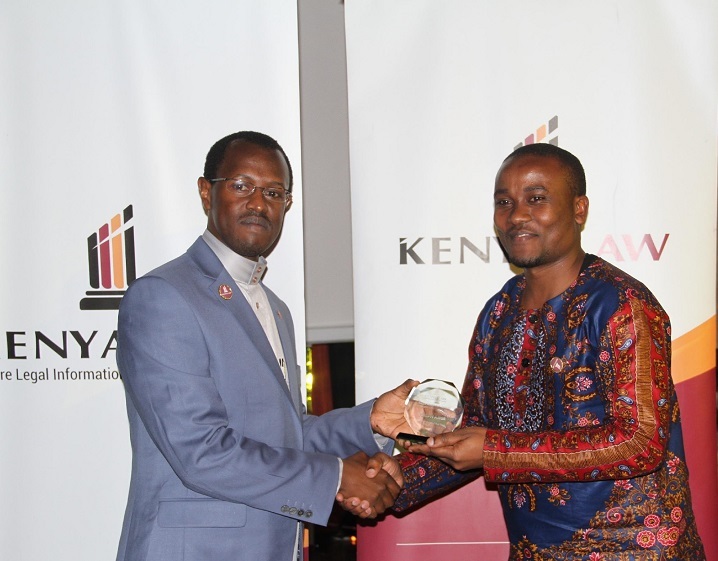 Joseph was also the 2nd runners up; employee of the year category. 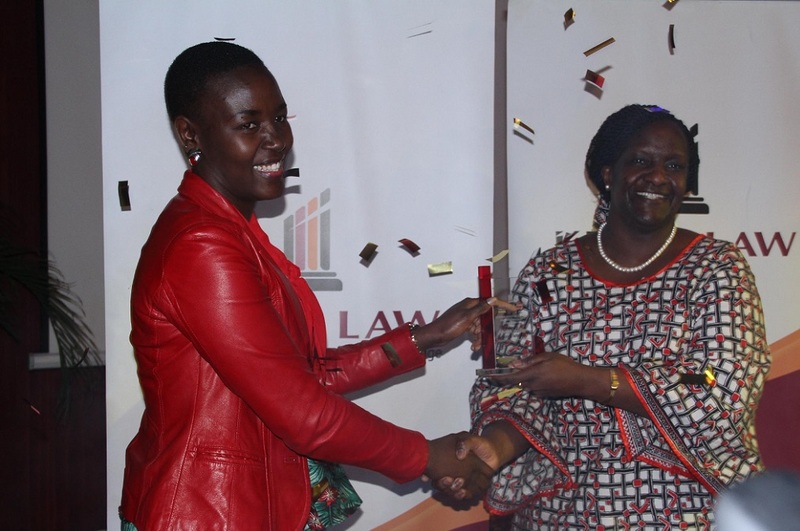 Ms Julie Mbijiwe of the Laws of Kenya(LOK) department receives an award for the 2016 Kenya Law innovator of the year from the LOK team leader Mrs. Wambui Kamau. Kenya Law CEO/Editor Mr. Long’et Terer presents the 2016 -Team player of the Year award, Finance department to Mr. Josepaht Ratemo. 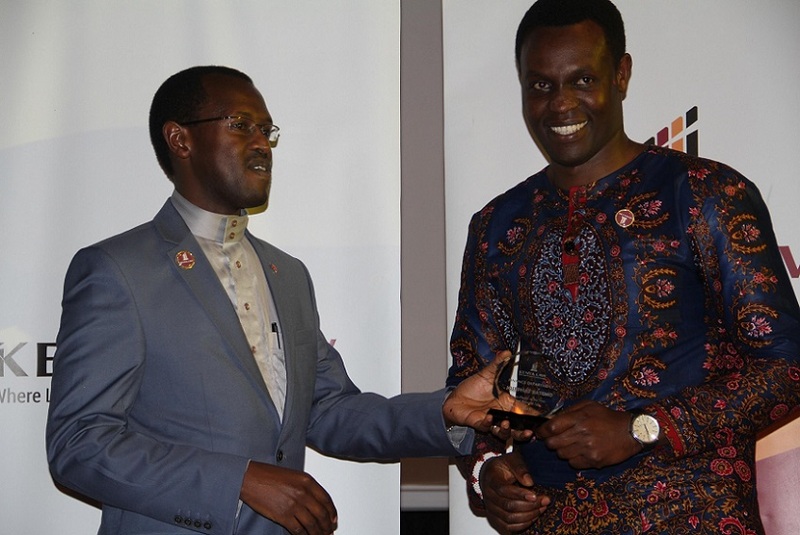 Mr. Ratemo was also the 2nd runners up; employee of the year category.